Van der Sar tends to dive to the kicker’s ‘natural side’ more often than most keepers do. This means that when facing a right-footed kicker, he will usually dive to his own right and when facing a left-footed kicker, to his own left. Chelsea’s right-footed penalty-takers therefore have a better chance if they shoot to their ‘unnatural side’, Van der Sar’s left. The vast majority of the penalties Van der Sar stops are kicked to a mid-height and hence penalties against him should be kicked just on the ground or high up. Christiano Ronaldo often stops in the run-up to the ball. If he stops, he is likely (85%) to kick to the keeper’s right-hand side. He also seems to be able to change his mind about where to put the ball at the very last instant. That means that it is crucial for Čech not to move early. When a keeper moves early, Ronaldo always scores. If you win the toss you should choose to go first. Teams going first win 60% of the time. Chelsea lost the toss and (although not in the video) as Rio Ferdinand asked the bench what to do John Terry did in fact offer to go first. United unsurprisingly knew better and took the opportunity to go first themselves. As the shoot-out progresses Chelsea clearly follow the advice to great effect even though Ashley Cole very nearly ruins it all by ignoring point 1 and hitting his left-footed penalty to his ‘natural’ side (the keeper’s right). His penalty does creep in however, perhaps due to it being kept low as point 2 advised (all the initial Chelsea penalty-takers aim either high or low). With Čech following point 3 perfectly to thwart Ronaldo these simple instructions would have seen Chelsea crowned champions of Europe if only John Terry had not slipped. The instructions were written by Basque economist Ignacio Palacios who was put in touch with Avram Grant by a professor of economics and mathematics at an Israeli university who knew them both. As the shoot-out goes into sudden-death Kalou is also able to follow the advice to the letter to beat Van der Sar with ease but by the seventh penalty the pressure was on. Chelsea’s first six had all gone to the United keeper’s left and although they varied in height, this repetition is approaching what economists call a ‘pure strategy’ and the problem with pure strategies is that they are predictable. As my girlfriend said straight away when I showed her the instructions: “Won’t the goalkeeper work out what they are doing?“. Whether Cole putting his left-footed penalty to Van der Sar’s right would have thrown the Dutchman off the scent or whether he would equally have noticed that every penalty had been placed to the ‘unnatural’ side is hard to say but by the time Nicolas Anelka steps up, Van der Sar is onto them. You would of course expect any team to do their research although this is usually primarily made up of working out what certain penalty-takers are most likely to do. A famous example of this that was also interlinked with some shameless mind games took place during the penalty shoot-out in the World Cup quarter-final between Germany and Argentina in 2006 where German keeper Jens Lehmann consulted a piece of paper from his sock before every Argentinian penalty! As it turned out, the sheet featured hardly anyone that took one but it did for Ayala (“waits longtime, long run-up, right” i.e. keeper’s left) and after getting close to the other penalties, by the time Cambiasso stepped up to keep Argentina in the game he must have been wondering what on earth that piece of paper said about him! It said nothing at all but possibly still did enough to allow Lehmann to make the stop that put Germany through. This means that to maximise their chance of scoring a penalty-taker should shoot to his ‘natural’ side 61.5% of the time and to their ‘unnatural’ side 38.5% of the time. The players in the sample placed 60% to their ‘natural’ side and 40% to their ‘unnatural’ side – almost perfect. The goalkeepers meanwhile should dive to the kicker’s ‘natural’ side 58% of the time and their ‘unnatural’ side 42% of the time. The actual figures? : 57.7% and 42.3%. To be what economists call a true ‘mixed strategy’ however, penalty-takers must also alter their placement in a random sequence with no pattern at all – when looking at regular penalty-takers (those involved in more than 30 penalties in the sample) Ignacio showed that, unbelievably, players are capable of exactly that! It is impossible to predict which way a regular penalty-taker will decide to place their penalty. The most impressive thing is that these players follow such perfect theory seemingly intuitively. Franck Ribery, to bring in a protagonist from tonight’s match whose penalties follow the theory, apparently doesn’t know which way he will shoot even once he has started his run-up! This is not to say however that all penalty-takers are as unpredictable, the beauty of the penalty shoot-out is that it drags players who are not regular takers into the fray as well as, if it goes on long enough, players who don’t want to take one or have little aptitude to do so. When the penalty-taker is not an expert, they are far more likely to simply place it in their favourite spot and far less likely to make it un-saveable, meanwhile the pressure of the occasion may even have the same effect on even the most clinical penalty exponent (looking at you Cristiano!). I’ve been watching the tapes of Bayern’s games. I’ve seen everything I can but in the end it’s all about the moment and whether the penalty taker is strong enough to keep calm and place it well. If he does that then the keeper has no chance, so in a shoot-out you try to force people into mistakes. In 2008, we had plenty of information about Manchester United penalties. We’d lost to them in a shootout before but you can’t always rely on what you’ve seen. You need to rely on your instincts. I always prepare myself for such situations, Our goalkeeping coach, Toni Tapalovic, showed me on his laptop before the match (the semi-final against Real Madrid) how Ronaldo usually takes his penalties. I learned that Ronaldo prefers to send the ball low to his left. In the penalty shoot-out, I was convinced that he would aim for his favourite spot. Whether Bayern are aware of the work of Ignacio Palacios is impossible to tell but it seems unlikely that Chelsea would employ such a bold team strategy in a Champions League Final shoot-out again (assuming even Ignacio could come up with pointers for facing Neuer!) but having won only 2 out of 9 penalty shoot-outs in the last decade if tonight’s match were to be all square after 120 minutes then Chelsea fans will certainly be wanting to win Pedro Proença’s coin toss! Champions League Final Build-Up (2/3): The Robben Final? 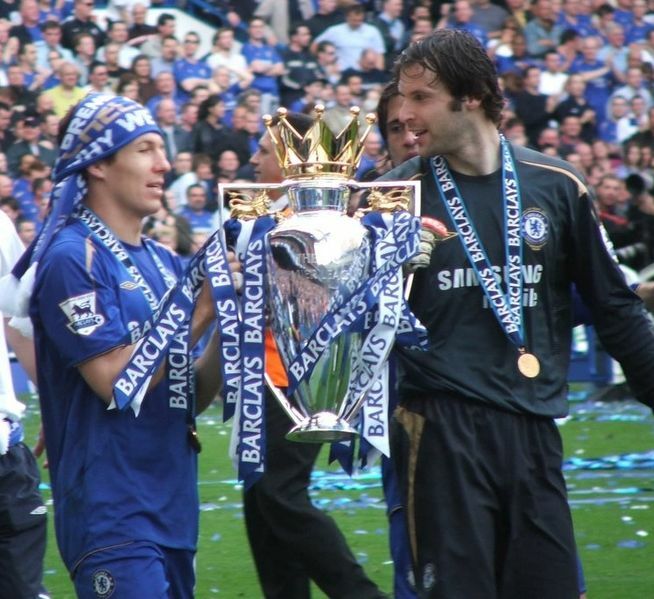 In 2010 Dutch winger Arjen Robben suffered the heartbreak of losing what most would consider to be the two most prestigious finals in world football: the Champions League Final and the World Cup Final. Two years on and he has a third opportunity to claim the type of winner’s medal that most players can only dream of. 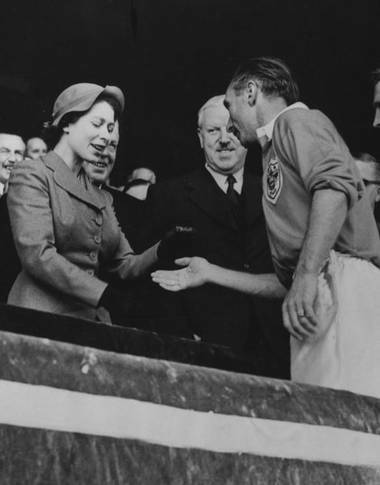 Almost sixty year earlier with England only having bothered entering the World Cup for the first time in 1950 and with the Champions League’s forerunner, the European Cup, not beginning until 1955/56, the winner’s medal that England winger Stanley Matthews dreamt of was an FA Cup winner’s medal. 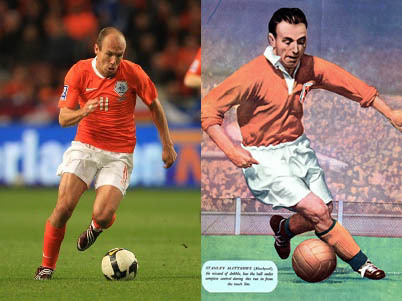 Like Robben he too suffered heartbreak in the final twice, in 1948 and 1951, before he had a third shot at glory. 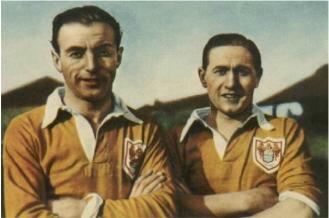 Interestingly though, Matthews says that the final should forever be known as the Mortensen Final insisting that it was his hat-trick scoring team mate Stanley ‘Morty’ Mortensen who was the real star of the show. According to Matthews, when he cut the ball back for the winning goal he was aiming for where, thanks to his near-telepathic relationship with Mortensen, he thought his team mate would be and was mortified to see that he had actually taken up a position at the far post. Having already overcome one former club Real Madrid, knocking out Casillas, Ramos and Alonso who had beaten him in the World Cup Final and Mourinho (a former manager of his) who had beaten him in the Champions League Final, the script seems written for Robben, like Matthews, to finally have his cup final moment. In his way of course stands another former club of his: Chelsea. With a depleted defensive line and midfield due to suspension as well as players coming back in who may not yet be fully fit (similar can be said of Bayern of course), Chelsea may be hard pressed to contain Robben but if they are to win they will need to do more than tightly mark him as players started to do to Matthews. Formations and tactics have changed in many ways over the last sixty odd years and to deal with Robben they will need to take a leaf from Borussia Dortmund’s book and cover well, trying never to allow him a situation where he only has one man to beat whilst not leaving gaps elsewhere in the defense (no mean feat of course!) or else hope and pray that come Saturday night it doesn’t quite happen for the Dutchman leaving him perhaps to wonder, however briefly, whether a different approach to his game may have led to more overall chances for his team. Of course now I have written that he will probably win it with a cross from the byline! Matthews picks up his hard earned medal in Coronation year – will Robben receive his in Jubilee year? Bayern will be only the fourth team to ever play the Champions League final at home. Bayern Munich haven’t lost a European game at home this season. Chelsea have only won one game away from home in Europe this season. Bayern Munich have faced English opponents in the final twice before and lost both times – Manchester Utd in 1999 and Aston Villa in 1982. Chelsea have lost seven of their previous nine penalty shoot-outs. Bayern Munich suspensions: Badstuber, Alaba and Gustavo. Chelsea suspensions: Terry, Ivanovic, Meireles and Ramires.